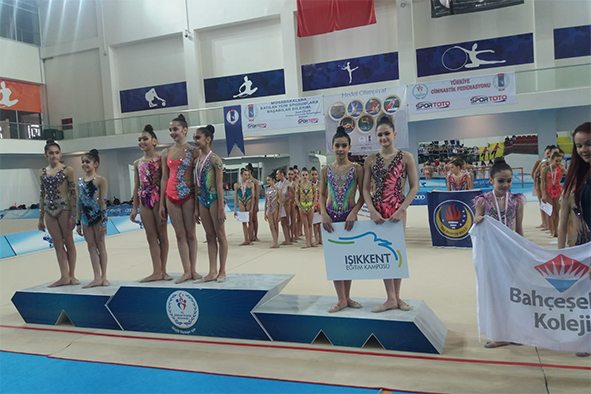 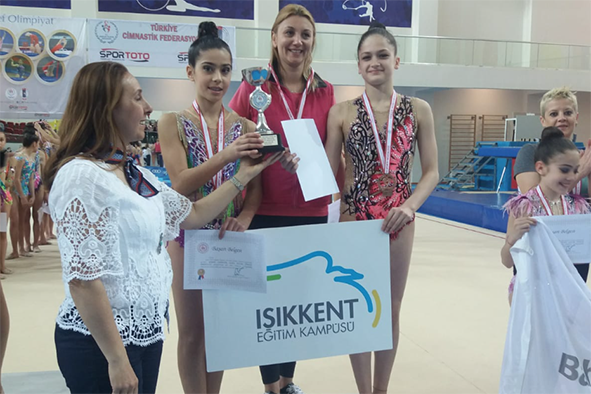 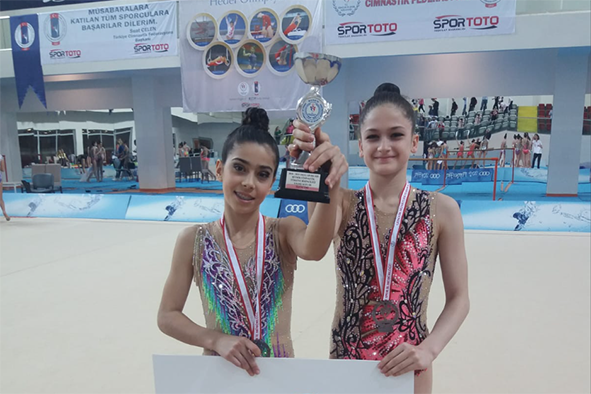 Our MS Senior Girls Rhythmic Gymnastics Team participated in the Interschools Turkey Championship held in Mersin on April 13th and 14th, 2019. 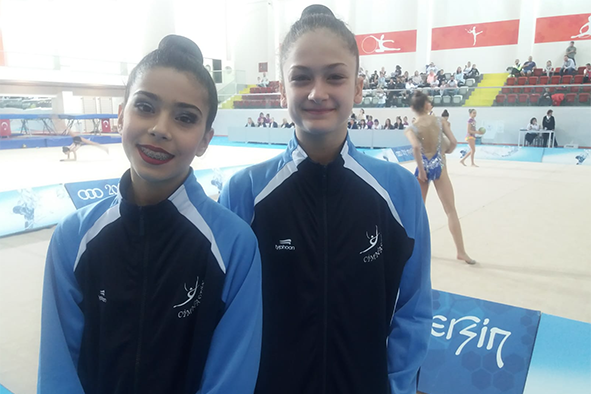 Alisa Cana Kubalı and Deniz Tan performed ball, clubs and ribbon routines during the two-day races. 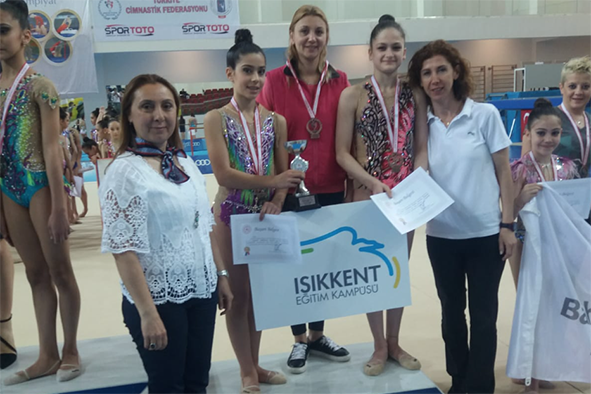 Our students, who represented our school successfully, placed third in Turkey with the scores they achieved as a team. 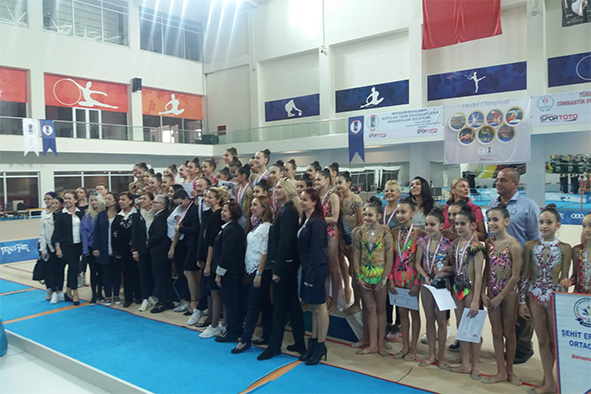 Congratulations to our students, who won the third-place trophy; their parents, who supported them in performing gymnastics; and their trainers, who made valuable efforts to train them.